It’s not news that millions of Americans suffer from lower back pain. But, what many people may find surprising is that a significant number of these people may be able to achieve lasting relief without medicines or surgeries. For many, a few visits to a back pain chiropractor might be all that’s needed to reduce or eliminate their pain. Chiropractic treatments have been proven effective for helping people manage their back pain because many of these problems arise from spines that are out of alignment. When your spine is out of alignment, it causes certain muscles to work overtime in order to maintain your body’s balance and stability. In more severe cases, the spine might be so far out of alignment that it may be pinching nerves, resulting in even greater pain. By aligning the spine, these muscles will gradually be re-educated to work as they’re intended and pressure on the nerves will be released. This will also allow more blood to flow into the area, bringing healing oxygen with it, while at the same time removing pain-causing toxins that might have built up in the area. This is the body’s natural self-healing process at work. What is the Usual Course of Treatment for Low Back Pain? The first step a chiropractor does is review the patient’s medical history and perform a thorough physical examination. Depending on the situation, diagnostic imaging or lab tests may be ordered to determine whether or not chiropractic care is the appropriate form of treatment or if there is a more serious health problem that’s causing the pain. The back pain chiropractor will then devise a treatment plan that includes manual adjustments, massage, at-home exercise, electrical stimulation, hot and cold therapy, rehabilitation (if necessary), and in some cases, nutritional counseling. Chiropractic treatments have been proven to be a safe treatment option for those looking for holistic, drug-free low back pain relief. When applied properly, chiropractic manipulation can leave you feeling a little sore, but over time, the soreness will go away and you’ll start feeling less pain and more flexibility, mobility, and better in general. It is important to note that treating low back pain typically involves a series of visits to the chiropractor in order for the pain to be alleviated for the long term. When the spine has been out of alignment for a period of time, this will become its new norm, so it needs to be re-adjusted on a regular basis until it is re-educated. Who Should Not See a Chiropractor for Low Back Pain? Even though manual manipulation is safe and effective, it is not ideal for every person suffering from low back pain. In particular, people who are suffering from osteoporosis, spinal cord compression, or inflammatory arthritis, or who are taking blood-thinning medications should not undergo chiropractic treatments. Need to See a Back Pain Chiropractor for Your Low Back Pain? Call Southeastern Today! 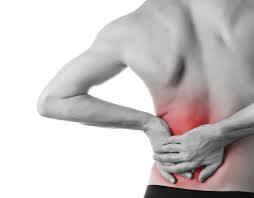 Low back pain can be debilitating and it can have a direct impact on one’s quality of life. But, help is available. With the right chiropractic treatment plan, your lumbar pain could be substantially reduced or even eliminated. Call Southeastern today at 910-790-3666 to schedule an appointment with one of our chiropractors. We are here for you. With six locations throughout the area, we have an office conveniently close to you. Head-to-Head: Chiropractic Adjustments or NSAIDs for Acute Lower Back Pain? Lower back pain (LBP) is so widespread that it was listed in the 2010 Global Burden of Disease report as being the single leading cause of disability worldwide. Over half of all working Americans have lower back pain symptoms each year, resulting in lost work time and enormous expense – Americans spend over $50 billion each year to treat their back pain. So it’s not surprising that a great deal of research is being conducted to determine the most effective methods for treating acute LBP. Much of this research has sought to compare the effectiveness of spinal manipulation (the sort of adjustments performed by Doctors of Chiropractic) with nonsteroidal anti-inflammatory drugs (NSAIDs). While these studies have generally not produced definitive findings one way or the other, they have served to highlight potential safety concerns related to NSAIDs. For example, investigators in one study found that diclofenac (an NSAID commonly used to treat LBP) increased the risk of gastrointestinal complications by 54% and posed other risks to the kidneys. Given the added concern about NSAID side effects, researchers and clinicians have had a renewed interest in learning whether drug-free manual therapies—chiropractic care, in particular—can really be just as effective, but safer. According to a recent study published in the April 2013 edition of the journal Spine, the answer is YES! In fact, the research team that conducted the study found that chiropractic adjustments were both safer and FAR MORE EFFECTIVE. In this study, investigators divided a total of 101 patients suffering from acute lower back pain into three groups. One group received chiropractic spinal manipulation plus a placebo (sham) version of the NSAID diclofenac (meaning that the only treatment actually being offered was chiropractic care). A second group received sham spinal manipulation and real diclofenac (meaning that the NSAID was the only treatment being employed). And a third group received the same sham spinal manipulation plus placebo diclofenac (meaning that no treatment was actually being offered – this was the “control group”). All treatments were “blinded,” meaning that the patients did not know whether they were receiving real or sham spinal manipulation or real or placebo diclofenac. Outcomes were measured based on a combination of patient self-reporting, physical examination, missed work time, and the amount of rescue medication (paracetamol tablets) participants required over a 12-week period. Perhaps unsurprisingly, about half of the participants in the “control” group receiving no treatment dropped out of the study because of intolerable pain. Comparing the remaining no-intervention subjects and the two remaining intervention groups, researchers found that the group receiving chiropractic high-velocity low-amplitude (HVLA) manipulation fared significantly better than the group being treated with diclofenac and the control group. Researchers reported a clear difference between the two intervention groups: “The groups receiving spinal manipulation showed a faster and more distinct reduction in the RMS [root mean square, a standardized test of flexibility and mobility]. Subjects also noted a faster and quantitatively more distinct reduction in their subjective estimation of pain after manipulation.” They also found that the group treated only with the NSAID diclofenac required more rescue medication (paracetamol) than the spinal manipulation group, taking 3 times as many tablets and for twice the number of days. No negative effects were reported from the spinal manipulation group, but several negative effects were reported from the diclofenac group. So, overall, this study indicates a clear “win” for chiropractic in the treatment of acute lower back pain. Not only does HVLA spinal manipulation avoid the potential safety concerns of NSAID medications such as diclofenac, it has been found to be far more effective. Remember this the next time you experience lower back pain, and consider seeing your chiropractor first. This one simple decision may help you recover more quickly and more completely while also helping you avoid the negative side effects of NSAIDs. Contact Southeastern Healthcare for Back or Neck Pain Relief! Seeing a chiropractor for neck or back pain is a good idea, since he or she can help identify injuries and start treatment promptly. If you have neck or back pain Wilmington NC, contact Southeastern Healthcare today! Schedule an appointment for a free consultation to see how we can help solve your pain.